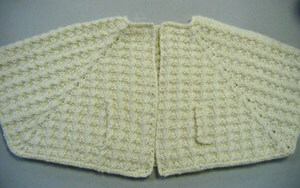 Shannon just finished the shawl collar on her beautiful Pam cardigan. Incredible! 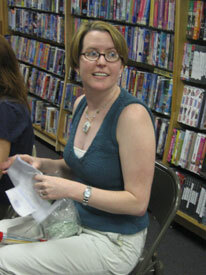 Shannon is working on Christmas gifts. 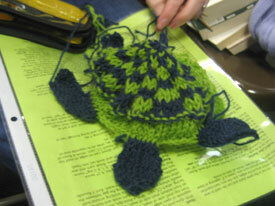 First up, a little stuffed turtle for her nephew. 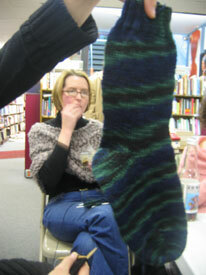 And "Blackwatch" socks in Lorna's Laces Shepherd Sport for her husband. Hey, check out that fabby little Paris Loop poncho she's wearing too! 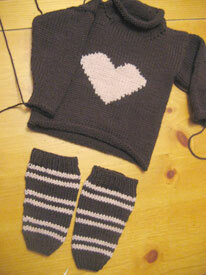 Shannon is finishing up this awesome little heart sweater and leg warmer set for her niece. This has to be the most fabulously girly knitted outfit ever! 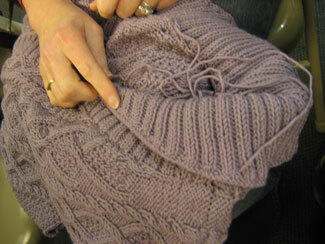 Shannon's been too busy posting about her recent honeymoon on her blog to update us on her knitting. But we got to see her projects in person this week! 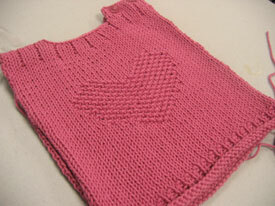 Two sweet baby sweaters for friends' little ones on the way. 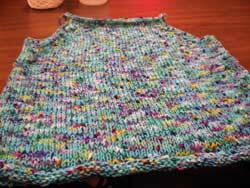 The second is her own girly version of the the star sweater she made this summer. 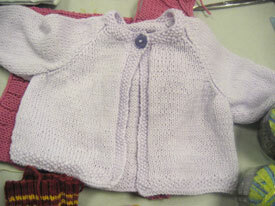 Shannon has knitted this sweet little capelet for her flower girl to be. It's knit in Morehouse Merino (yuuummm) following a free online pattern. I'm sure we'll get more details on her blog soon! Shannon wore her new Smooch tank this week. Isn't the color beautiful? It was nothing but t-shirts at Knitsmiths this week. 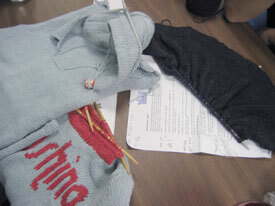 Shannon's, Shireen's, and Dava's nothing but a t-shirt underway. 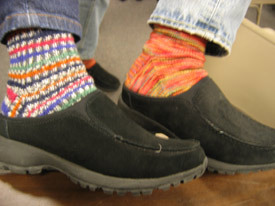 Shannon and Johanna show off their newly knitted socks and matching Land's End clogs! Shannon's gorgeous Waikiki tank. It's the Summer in the City tank and the yarn is a fine mercerized cotton held together with Crystal Palace Waikiki. Such beautiful colors! She made the same tank last year in fabulous reds and now this one's for her mom. Awwww. Gina and Shannon in their new ChicKamis.